We meet for worship each Sunday at 2.45pm for services (unless stated differently on the diary page) led by the Rev. Suzanne Nockels our Minister, visiting ministers or lay preachers. 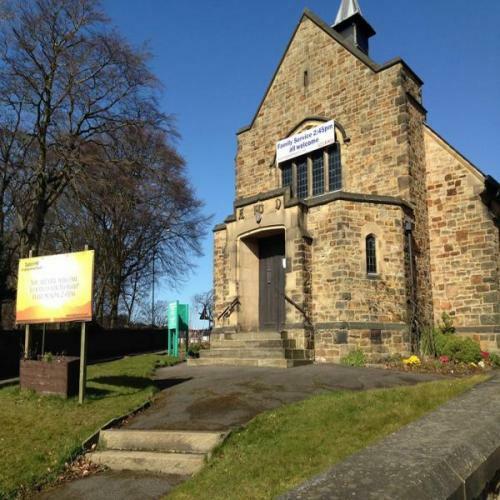 We are pleased to also offer a home to the Greek Orthodox Community Church in Sheffield. To get a flavour of what we have been doing please read the reports of our Church Secretary and Minister from the Annual General Meeting on the 'About us' web page. No bible study as we will be visiting the Millennium Gallery for a talk on the Last Supper by Leonardo Da Vinci by Rev Nockels. Good Friday Pilgrimage starting at St Luke's, Lodgemoor at 9.30am finishing for a short service and light lunch at Tapton. 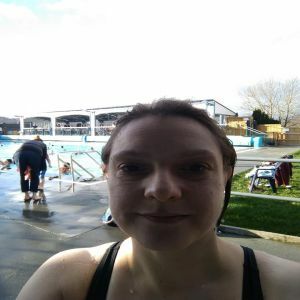 Those of you who know me know that I am generally quite outgoing but I don’t mind admitting that there were times when I felt a bit nervous about stepping into a new environment with people I had not met before and my brain and my body didn’t always join up as I tried to get it to move in a way it had not done before. I recently came across a Bible verse that intrigued me. In Matthew’s gospel Jesus says that a teacher or scholar who is also a disciple of the kingdom of God (connected to the ways of heaven) brings out of his/her treasure-house new treasures as well as old. I’m sure we have old treasures; things we like doing, objects and sights we enjoy looking at, wisdom that we have lived by for many years. Ways of being that every so often we get out of our treasure house and take comfort or delight in. Yet the good teacher doesn’t just rely on the past but discovers new treasures along the way. It is not good for our lives or indeed our faith to simply be an antique shop or a museum- much as I am a sucker for both. Although what’s old to me might be a new gem to you and vice-versa. So, what new gems have I added to my treasure-house so far this year? The main one is trying the Charleston. I love to dance and I love the jazz music of the 1920s and the sheer quirkiness of it all. It makes me smile and it brings me joy. It is good to feel connected to my body and it is great fun to be in a room of women of all-ages and backgrounds. In future, when I need a release, I will dance. I am thankful to God for my feet and the rhythm of music and strangers who soon become friends. That’s the thing about new discoveries and treasures they begin to shape a new you. So, friends, what will your new gems be for 2019? 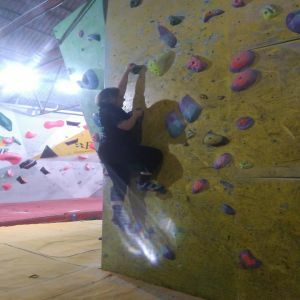 *bouldering is going up a climbing wall using colour-coded footholds and handholds. To that end I have completed a sponsored walk doing the Sheffield Round Walk raising £300+ so a great big thank you to those who were generous in their giving. 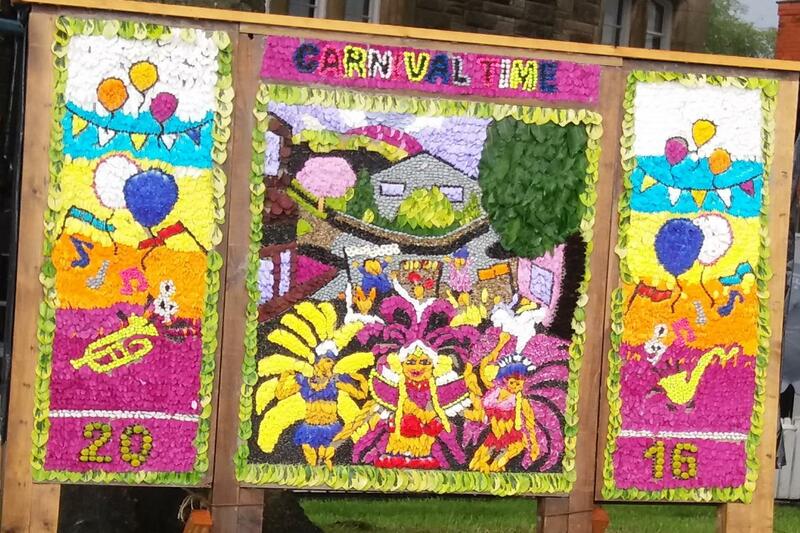 In previous years, during the Christmas period we have a Gift Sunday for nominated charities. 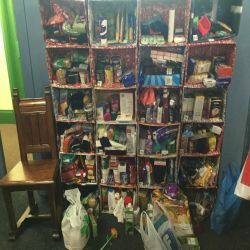 This year the church tried a new approach by erecting an Advent Wall with 24 boxes and instead of removing surprises we asked users of the church to bring gifts for two local charities: Ben's Centre in the city centre and The Good Hope Centre for victims of domestic abuse. Gifts included: Tea, coffee, long life milk, rice, pasta, dried food products, ladies toiletries, make up, underwear and socks. This was not a wall that divides, it united bringing all users of the church together in making donations. We pray though only a small contribution it has helped to make someone happier or at least more comfortable. At this time when the country is marking 100 years since the end of WW1, it was recognised that Crosspool did not have a memorial for victims of conflict. Crosspool Forum believe this should be rectified and on Sunday the 11th November the church held a service to launch an appeal towards the erection of a memorial stone in the church grounds. This will be a memorial to all who have died or served in any conflict. It will not carry their names but a book of remembrance for Crosspool residents has been opened. Soup and Roll Club meets every first Thursday in the month. Table tennis social and natter on the other Wednesdays.